Video was filmed to capture precious moments. However, the photographer made a muff of it. The scene was beautifully shot, but it didn’t have any sound. You came up with a great idea when you were thinking about how to revive the spoiled work. The boring scenes are quickly wound up, the funny scenes are highlighted in slow motion, and the rest is partially edited to make a single music video. 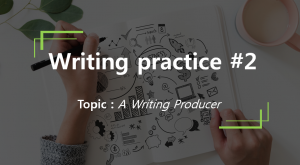 This process can also be applied to writing. Describe an important moment for a long time and edit them freely, going back and forth between the past and the present. Now, let’s pick up the pen and talk about our precious moments. Choose a number. 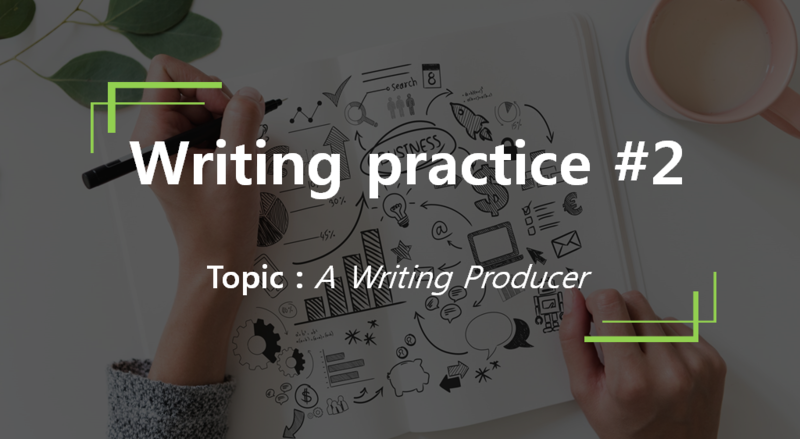 It is a precious moment for you to edit in writing. 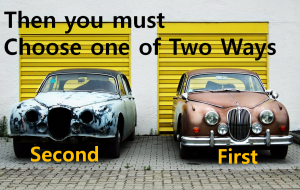 I choose number one. Topic is ‘Entrance into a school’. Let me start my story. I graduated from high school and went to medical school. Would I be happy? Hmm… I have mixed feelings. I feel much relieved and I’m happy to do what I wanted. Also, I was vaguely anxious and suffered from inferiority complex, that I could have done better. I was at a loss what to do because I just became an adult. So I looked for a lot of books, and I looked up all kinds of useful things like TED. 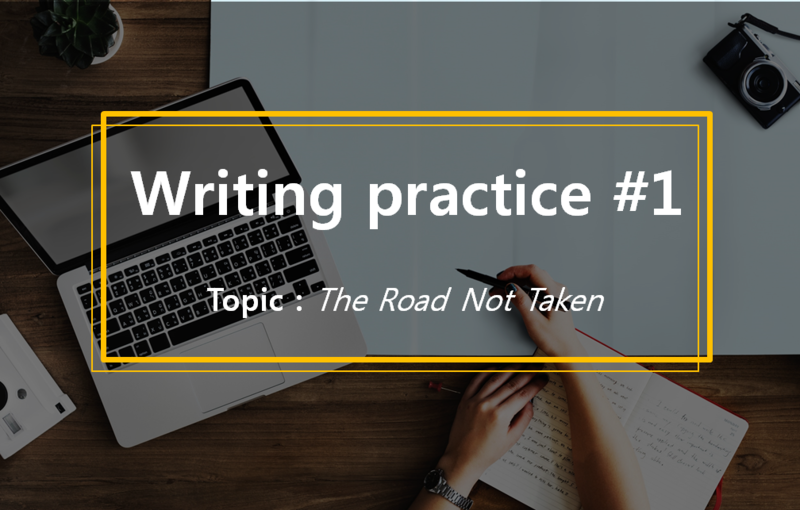 Write about a situation in which you must choose one thing at a crossroads. Take one of the two paths (or more), like the lines of Robert Frost’s ‘The Road Not Taken’ and write about a situation where everything has changed because of it. 1. I hand it over to my friend. 2. You take the winning lottery and change it into another one in the book. 3. Ask for some money in return for handing it to a friend. Hmm.. I think I really agonize about what to decide. First of all, it is not option 3. This is of course his, and I don’t want my friend to know what I think. Frankly, It is true that I want the money. Isn’t the money too big?! How many things can I do? Let’s imagine. 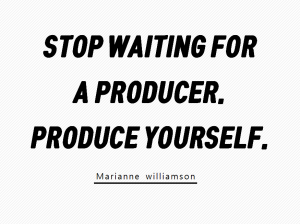 First, I am now learning Adobe Premier Pro and After Effect. I will buy related books, and computer specifications should be very very good. I will spend some money on my growth and development. But wisdom can not be bought with money. My ability is too. What is the situation of South Sudan? Conflicts and disputes have consistently occurred in South Sudan. It is because of politics and struggles for power. It is very harsh reality. What do the children here think? Can they laugh in the war? Adults should protect our children. So many people are longing for and looking towards a future of peace. Peace Festival! Then, what is the role of the youth in achieving peace under these situations? What role? Youth should put effort into making it known to all people that they want peace and encourage everyone to have a heart that loves peace. 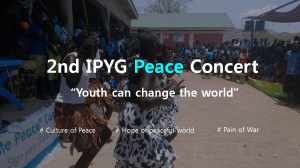 For this very purpose, on March 17, 2018 in Juba, South Sudan, the 2nd IPYG Peace Concert was held by Junub Open Space and IPYG. 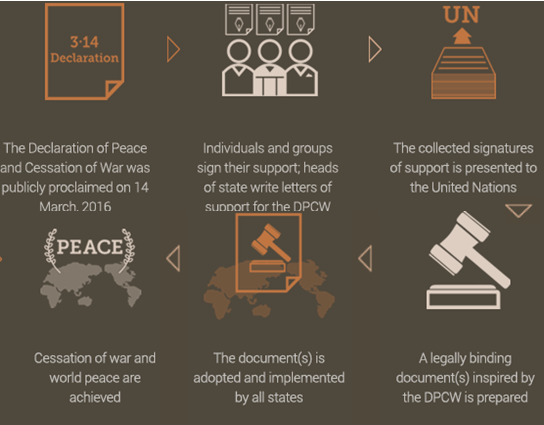 Its purpose is to to spread a culture of peace in accordance with Article 10 of the Declaration of Peace and Cessation of War (DPCW). At Peace Concert, numerous colorful performances were able to spread a culture of peace to all citizens in Juba. The event is starting with the traditional dance of South Sudan. The theme is the hope of having a peaceful world and the pain of war. They use ‘Song, Poem and Drama’. In between these programs, prominent figures delivered speeches to convey their heart for peace in the minds of all Juba citizens. Around 3,000 people participated in the concert. 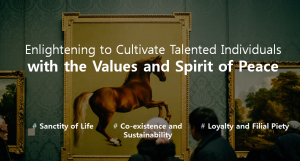 It is including government officials, principals, and directors of non-governmental organizations (NGOs). 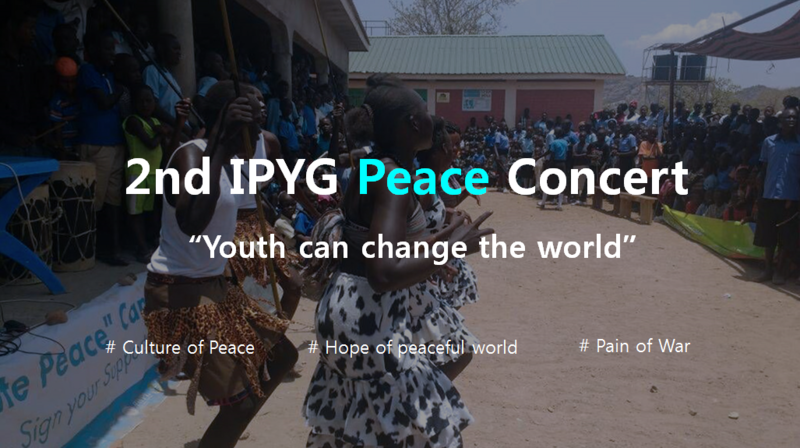 One participant said, “I’m experienced a truly peaceful world without war.” He hope for the day when this event becomes the best peace festival not only in Juba but in all of South Sudan. President of Junub Open Space, who prepared the event said, “Thanks for the work. The concert was so beautiful. I can feel how much we stand for peace. We have the courage to pursue peace in South Sudan”. 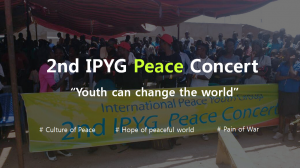 Executive Director of the People’s Empowerment Center South Sudan also stated, “Thanks for supporting the carrying out of peace events where the country needed it most. We would like to extend such campaigns for peace outside Juba”. The status of today’s world can be traced back to the two tragic world wars of the last century. But it can found the United Nations. It was founded to respond to the atrocities of conflict and loss of human dignity. 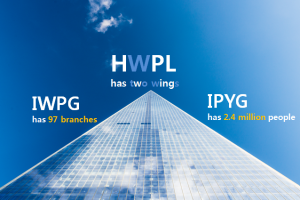 Since then, many international agreements and declarations have been developed. But additional challenges such as national and religious conflicts, cultural bias and ethnic hatred have hindered the movement of peace. And innocent civilians have to pay the price. 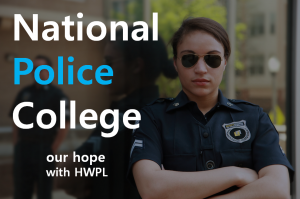 In this regard, HWPL thinks that the international society needs a comprehensive legal approach that guides citizens’ daily lives, regardless of their nationalities, ethnicities, and religions. To secure peace at both national and international levels, the invention of a legal framework in the form of an international agreement (law) will pave the way for developing peace processes in our world. 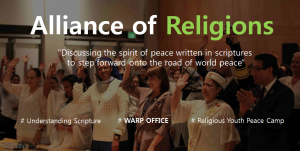 Under the Law for Peace Initiative, HWPL engages substantially with civil society actors because peace cannot be sustained only through the voices of elites and institutionalized processes. 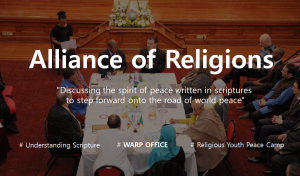 Going beyond all divisional lines, HWPL suggests a civil society function in peace-building, which aims at the implementation of citizens’ advocacy and the voluntary practice of democratic values, thus fostering a culture of peace. 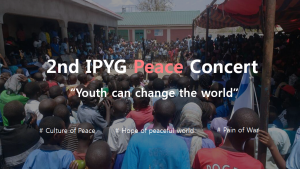 The main activities within this function are carried out under the Legislate Peace Campaign, a bottom-up approach for peaceful conflict resolution through establishing an international peace law. 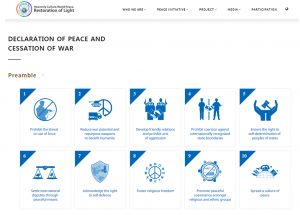 More leaders in politics, legal fields, the press, and faith-based organizations are acknowledging the greater involvement of civil society within the initiative and have implemented joint activities advocating for the ultimate peace system that can encompass all States and peoples. 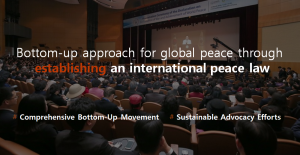 Civil society actors and government representatives working with HWPL ensure that they will continue to call for a successful Law for Peace Initiative based on governmental and nongovernmental cooperation, thereby building participatory structures which allow sustainable peace settlement. 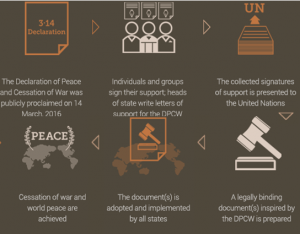 When an international legal framework compatible with the DPCW is established and holds all States accountable for peaceful conflict resolution and ceasing war-like activities, HWPL believes that it will eradicate the structural causes of violent conflicts. 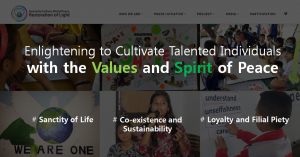 This is the source of the sustainable advocacy efforts.